Abstract: The Resolution Cu-Mo deposit was discovered under 1,000 meters of Tertiary cover in the mid-1990’s by the Magma Copper Company. The Magma mine operated for over 80 years, producing approximately 27 million tons grading 5% Cu, prior to the discovery of Resolution. At Resolution, a major regional ENE structural trend has controlled the emplacement of a hydrothermal breccia–porphyry complex and associated alteration/mineralization. Skarn, breccia and diabase/basalt consistently host copper grades higher than deposit average and are considered favorable host rocks. While the deposit is globally dominated by chalcopyrite mineralization, average copper grades in the chalcocite dominated zone are consistently higher. The highest coherent copper grades are developed almost exclusively in chalcocite (bornite) mineralized hydrothermal breccia. Spatially, most of the elevated copper is related to the partially to completely sericitized (± advanced argillic altered) top of the potassic alteration zone. This distinct alteration zone is rooted in the apex of the low-pyrite core to the hydrothermal system. Plus 1% copper was developed in this setting over some 1,500 vertical feet. Drilling by Resolution Copper Mining LLC, owned by Rio Tinto and BHPB, has outlined an Inferred Resource of 1.766Btonnes at 1.51% Cu and 0.035% Mo Project studies and permitting are ongoing. Bio: Bladed quartz after calcite was in vogue when Hamish graduated from Auckland University in 1988, so working as an exploration geo in Waihi for Cyprus Gold seemed the natural thing to do. This would prove to be his first and last professional job in New Zealand. The jungles of Papua New Guinea beckoned, exploring for low sulfidation epithermal systems on the Tabar Group and Lihir as well as breccia pipes around Ok Tedi. Exploration for mesothermal gold at Rosebel in Suriname followed, working for a company run by the former defensive lineman for the Edmonton Eskimos. A switch to porphyry copper exploration in the high cordillera ensued when Hamish moved to Argentina, and continued in Iran and Siberia. 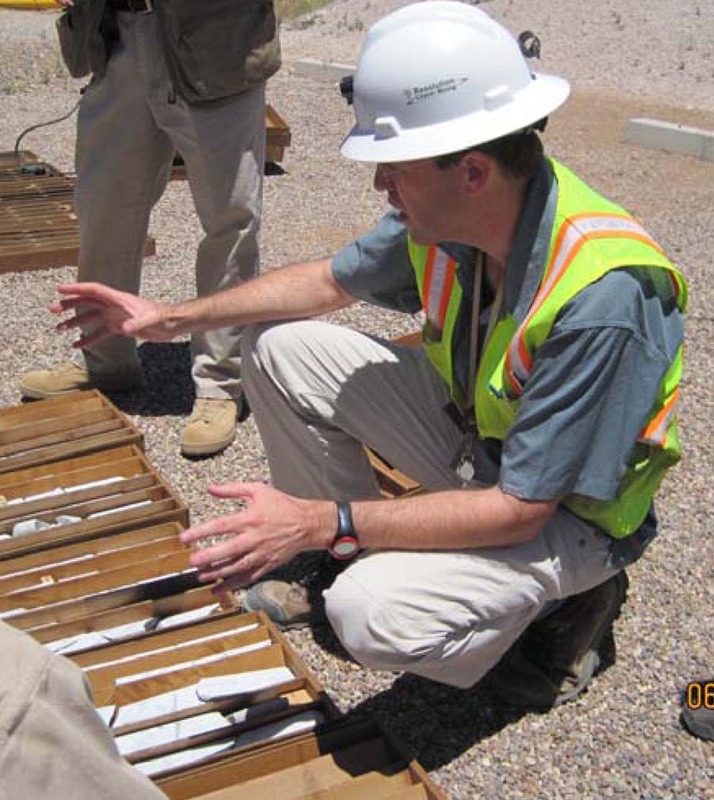 The globetrotting finally came to an end when he took up the Chief Geologist’s role at Resolution Copper in 2008.